Avan Motors has launched its most premium, Trend E Electric scooter in India. It is available with a single battery as standard and an optional dual battery. Avan Motors has launched its third scooter, Trend E in India, starting at a price of Rs 56,900 (ex-showroom). It is the most premium offering from the Pune-based company. Trend E electric scooter is available with a single battery pack as standard. A twin battery pack is also offered. The detachable batteries can be removed easily and be charged with a regular three-way plug. The dual-battery pack variant goes for Rs 81,629 (ex-showroom prices). The scooter uses Lithium-ion batteries, which are comparatively more expensive than the lead acid batteries. The single battery pack offers a riding range of 60 kms on full charge. The dual batteries offer a range of 110 kms. Charging time for both the batteries is nearly 2-4 hours. The top speed achievable on the Avan Motors Trend E is 45 km/hr. The scooter gets a maximum payload of 150 kgs. The company claims that the scooter gets a higher ground clearance. For suspension purposes, it uses telescopic forks at the front and a coil rear spring suspension. Braking is handled by disc brakes at the front and drum brakes at the back. Trend E will compete with Okinawa Praise, in the same price range. Hero electric scooters are priced under Rs 60000. Features onboard include a fully digital instrument console, a backrest, front disc brake, a front apron pocket and detachable batteries. 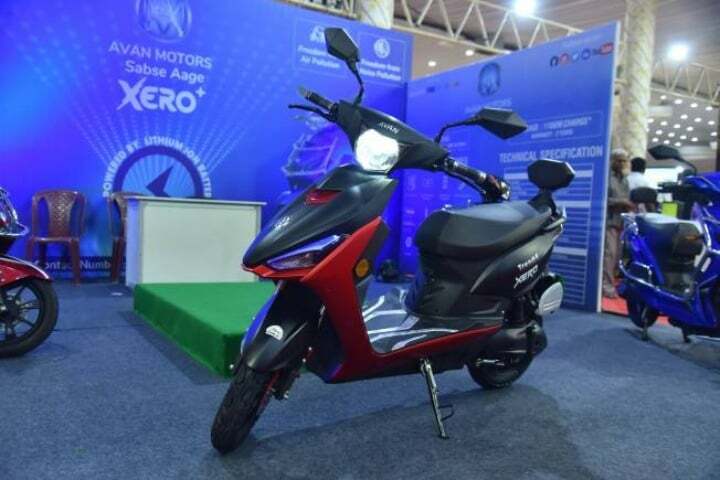 AVan Motors claims that Trend E electric scooter is suitable for the Indian roads. It also meets the requirements of customers with its combination of technology, power and futuristic design. Currently, there are 30 dealerships spread across Maharashtra, Uttar Pradesh, Karnataka, Madhya Pradesh and Delhi NCR. It plans to expand its operations to all the states and mainly, Tier II and Tier III cities.